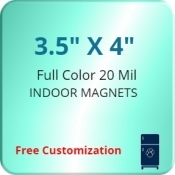 Custom refrigerator magnets, also referred as custom fridge magnets are used by marketers and individuals to address their targets. Unlike the regular fridge magnets that you purchase from brick-and-mortar store, we can help you customize these fridge magnets the way you want. Logo printed refrigerator magnets are perfect to attract new customers, retain existing customers and build lasting relationships. Our prices include product, art set up, online design proof, shipping and artwork assistance. 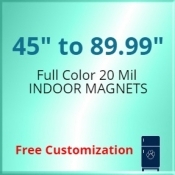 We only stock made in USA promotional magnets built over 20 Mil, 25 Mil and 30 Mil stocks. 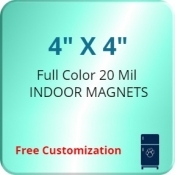 Refrigerator magnets are perfect for many situations and they will impress a viewer from the fridge door in the kitchen, working table or kitchen cabinets. Your customers will see these magnets every time they open the fridge or every time they are at the work table. This continuous interaction helps to make your business very familiar to them and it influences their brand consciousness. We also stock wide varieties of promotional fridge magnets in different sizes and shapes, all of them are made of high quality stock material. 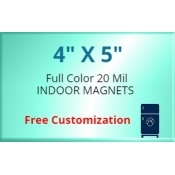 You will find basic rectangle and square magnets, circle magnets, oval magnets and triangle magnets. There are designs for almost every perceivable shape on earth. 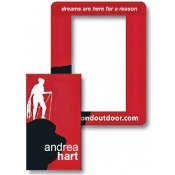 You can select the most appropriate shape that fits into your promotional theme. 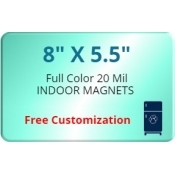 If you are looking for a fridge magnet for individual expression, there are many schedule magnets, business card magnets, calendar magnets, save the date magnets and photo frame magnets to select from. 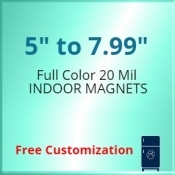 Most of these colorful promotional magnets also double up as a refrigerator art and they are retained over refrigerator doors for many years. 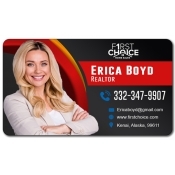 Personalized magnets such as save the date magnets as well as picture frame magnets can add fun and excitement to any upcoming event. Printed magnets such as puzzle magnets and word magnets can be fun for young kids and can be a favorite kitchen activity for people who spend most of their time in the kitchen. The flexibility of these magnets makes them perfect to have within homes, offices and schools. If you do not find a refrigerator magnet of your choice under this selection, we are here to help you. 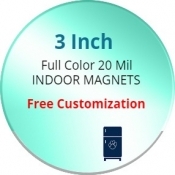 Our promotional product experts will be happy to help you with queries and doubts regarding customization, bulk order discounts or promotional aspects of these fridge magnets. You can contact at 855-76-4638 or mail us at info@custommagnetsdirect.com.